Alternative Instructional Services: OIC/DC's tutorial program is designed to assist the participants regain academic focus. Strength Based Case Management Services: OIC/DC provides an extensive case management service for each participant enrolled . Referrals and Wrap Around Services: The participants will be aligned to an array of complimentary programs and social services operated by public and private agencies in the community. Job Readiness, Financial Literacy, Computer Literacy & Life Skills Training: OIC/DC integrates these important instructional elements with skills and basic educational instructions, so that the participant has a holistic instructional approach. Job Development and Placement: OIC has a reputation with employers for not only providing well trained people who are ready and able to work, but for working with employers to keep people on the job once placed. Retention and Follow-up Services: OIC/DC sees follow -up as an extension of the program. Participants will undergo successes and failures as they learn how to negotiate the real world-of-work. They will need an ongoing source of support and encouragement in order to achieve long-term success. Career Coaching. 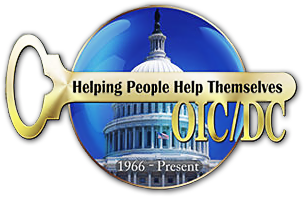 OIC/DC helps participants get a new and fresh perspective on their lives and their careers as well as where they have been, where they are today, and where they want to go in the future.